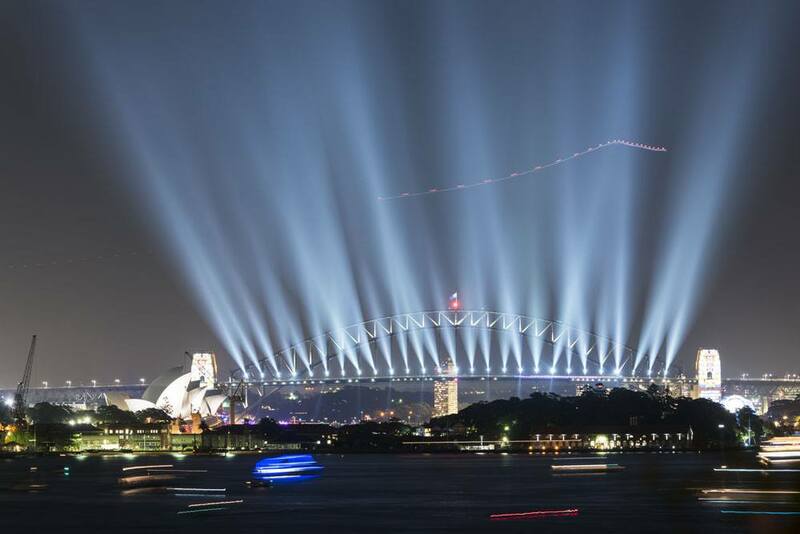 Are you wondering what to do in Sydney? Over the years, we’ve written so many articles about Margherita’s hometown, Milan – from our long-running Mondays in Milan series to our ever-popular 10 Free Things to do in Milan article. Yet, we haven’t written much about my hometown, Sydney. 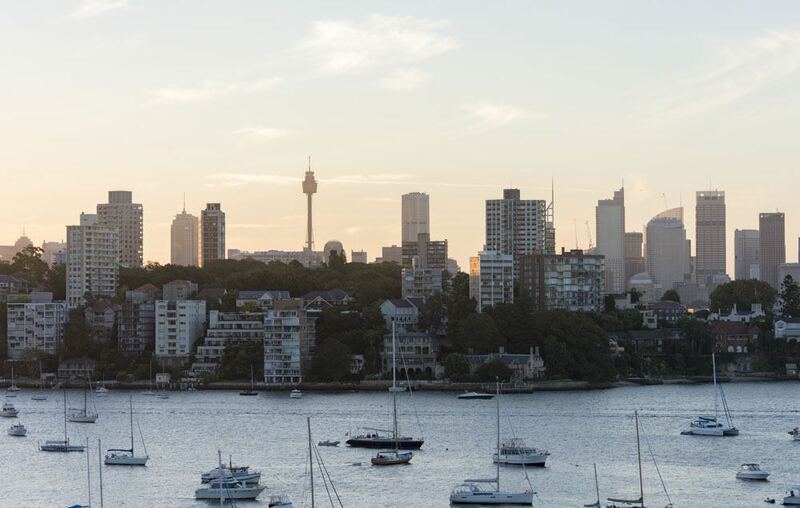 So, keep reading for some Sydney insider tips from locals! I may be a bit biased, but I do think that Sydney is one of the most beautiful cities in the world. Even though I lived in Sydney for 25 years, my heart still skips a beat when I walk down Circular Quay and see the beauty of Sydney Harbour unfold before me. 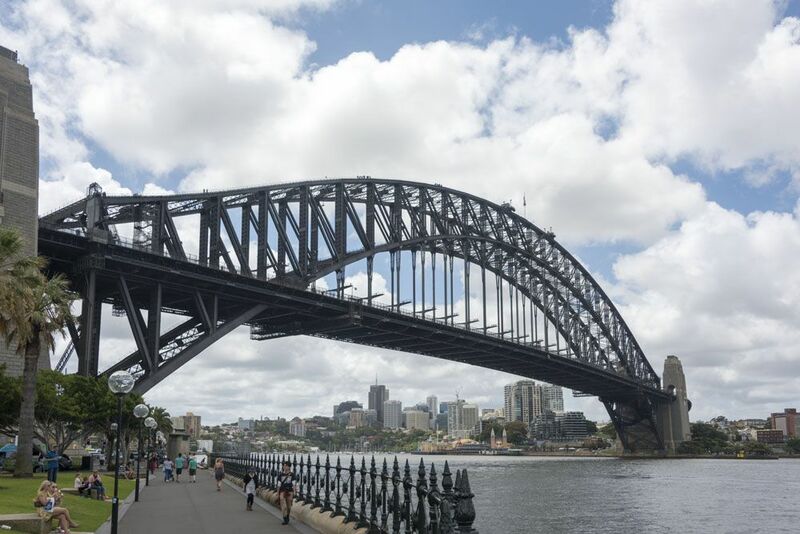 The steel frame of the Harbour Bridge is on one side, connecting the CBD to the North Shore – it was the first sight that my grandfather saw, when he sailed to Australia after having left Germany at the end of WW2. On the other side, there are the white sails of the Opera House, perhaps Sydney’s best known landmark – keep walking, and you’ll get to the Botanical Garden and Lady Macquaries Chair, the most beautiful viewpoint in the whole of Sydney, where you can see the Opera House and the Harbour Bridge in the same frame. When Margherita first visited Sydney in 2005, I took her to the usual ‘Sydney for First Timers’ places. We started with a walk around the Rocks, Sydney’s oldest neighbourhood dating back a grand total of 200 years. Then we walked around the CBD up to Hyde Park – we used to live in London at the time, and she found it odd that there was a ‘Hyde Park’ both in Sydney and in London. And as much as I love Sydney’s Hyde Park, I must admit that London’s is much better! Naturally, when people ask me what to do in Sydney, these ‘Sydney for First Timers’ places are what I normally mention. Circular Quay. The Botanical Garden. The Rocks, the CBD. But really, Sydney offers so many things to see and do. It’s the largest city in Australia (not the capital, no, that would be Canberra). Many neighbourhoods used to be separate villages, and offer unique things to see and do. There’s a lot of Australian history, beautiful nature and chances to enjoy adventure in the city. Sydney is also full of parks and gardens, many of which become the location for some of Australia’s best music festivals – like Field Day, held every New Year’s Day in The Domain. 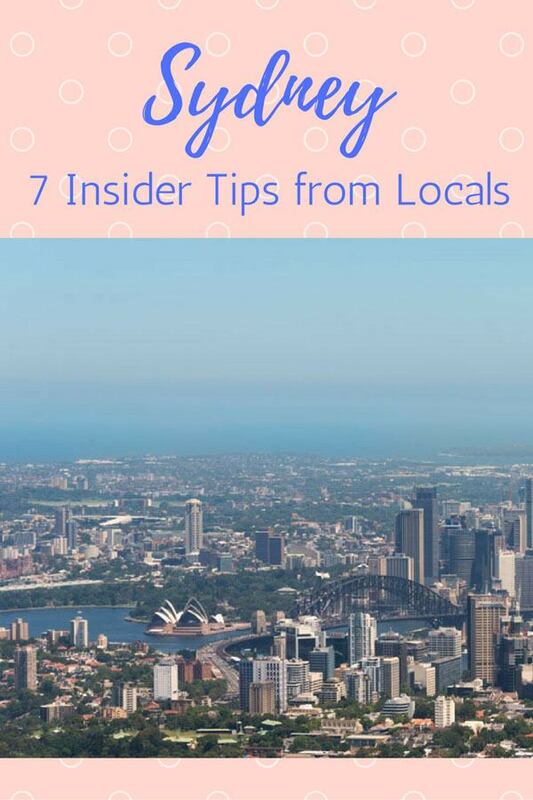 Continuing our popular Insider Tips series, where we have already featured Florence, Barcelona, Berlin, Prague, Porto, Sao Paulo and Rio de Janeiro, I’ve decided to compile this list of 7 insider tips from Sydney locals, sharing what to do in Sydney with you. 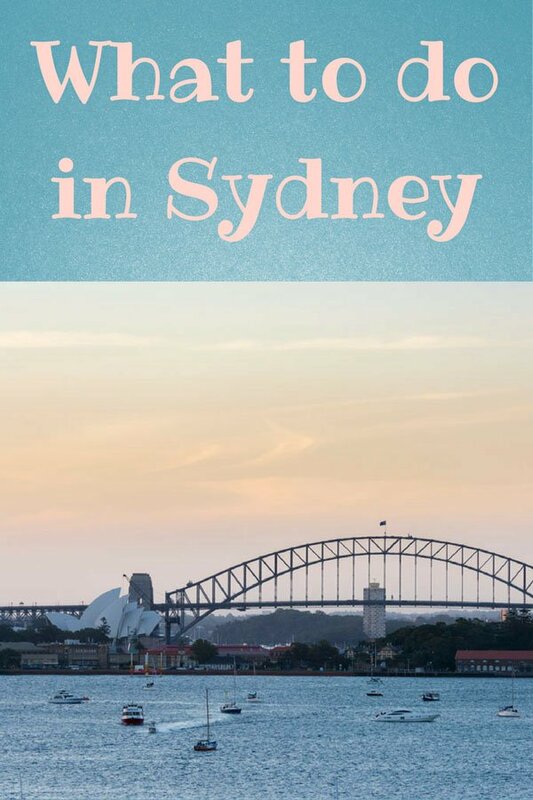 I can also recommend checking out this awesome Sydney weekend guide! The reason why I love Bare Island is because it’s a place that will please history and nature lovers at the same time. It’s a fortified island (kind of like Suomenlinna in Helsinki!) not far from Botany Bay, the place where Captain Cook landed and where you’ll find the international airport these days. 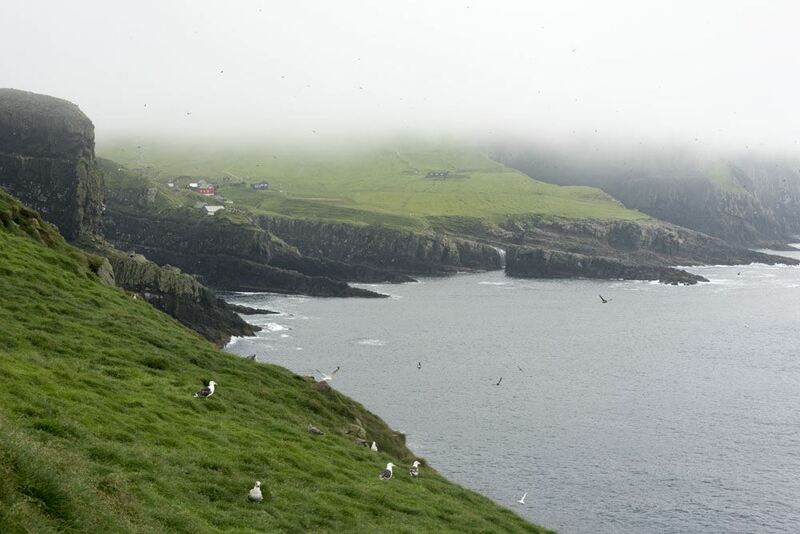 Have a look at the picture – you may think ‘I’ve seen this place before’. And you may have indeed, as Bare Island was one of the locations where Mission Impossible 2 was filmed. Bare Island was fortified in 1880 as it was believed it was in a strategic location to protect the coast from invaders. However, its existence was short lived – it was decommissioned just 22 years later, in 1902, as it was discovered that poor quality concrete was used for its fortifications. 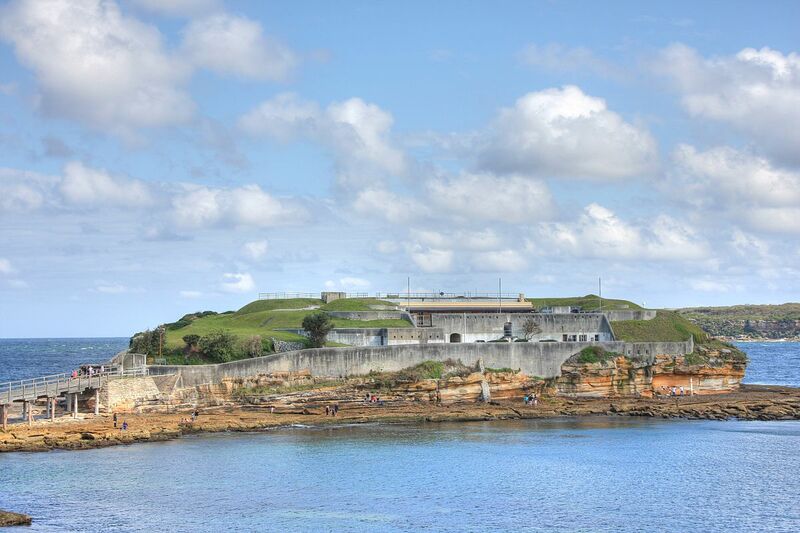 You can easily reach the island on foot from La Perouse, a Sydney suburb famous for being the location of the weekly ‘Snake show’, taking place every Sunday since 1913. 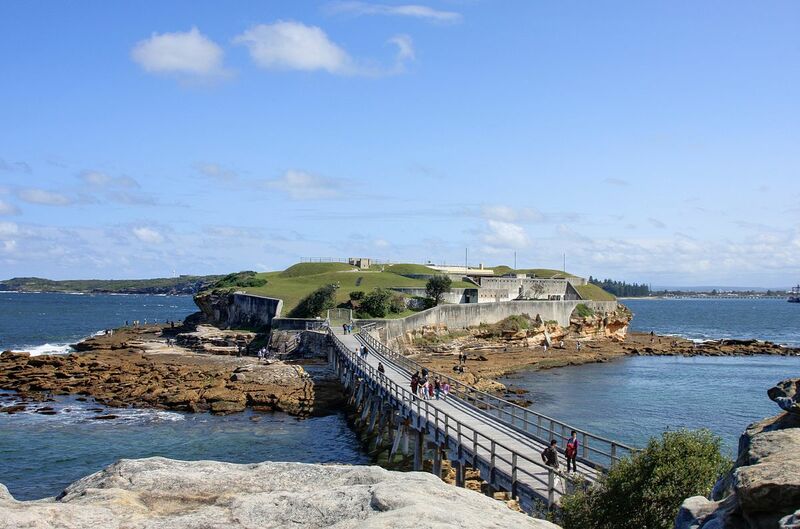 Bare Island is a lovely place for a stroll and to see the city from a different angle. You can walk around the fortifications, or get down to the water’s edge to see the rock formations created by the wind and elements. 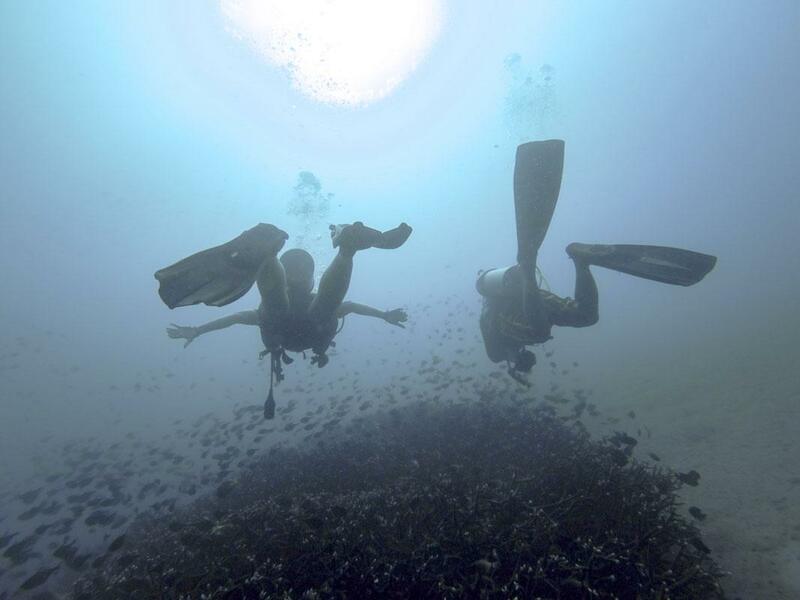 Bare Island is also one of the best places in Sydney for scuba diving and snorkelling, with the chance to see sharks, nudibranchs, reefs in great condition and some Australian native fauna like the Sydney pygmy pipehorse. Do you know why it’s called Bare Island? 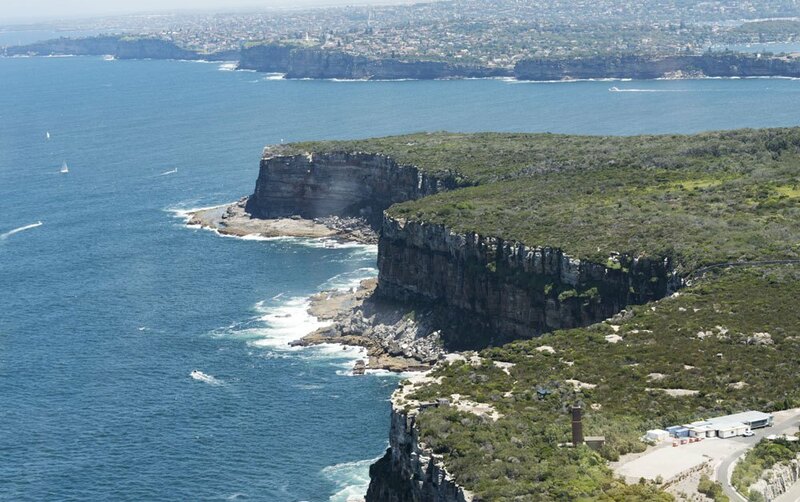 Because when Captain Cook first saw it, he described it as a ‘little bare island’, as there were no trees. I love how descriptive Australian names are – do you know why the Snowy Mountains or Great Sandy Desert have those names? 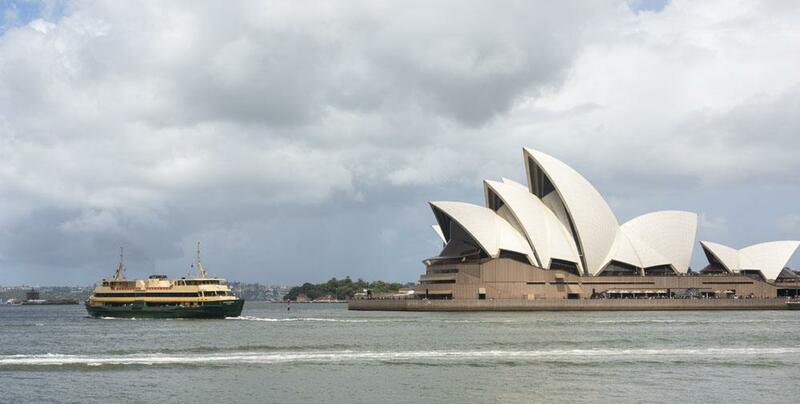 Everyone knows the iconic Manly ferry, travelling between Circular Quay and the famous surf beach. Don’t get me wrong, it’s a very beautiful ferry ride, but you may find yourself jostling for space between selfie sticks and boogie boards, especially in summer. If you ask me, the most scenic way to reach Circular Quay is catching the River Cat, a river ferry travelling down the Parramatta river, all the way to the harbour. 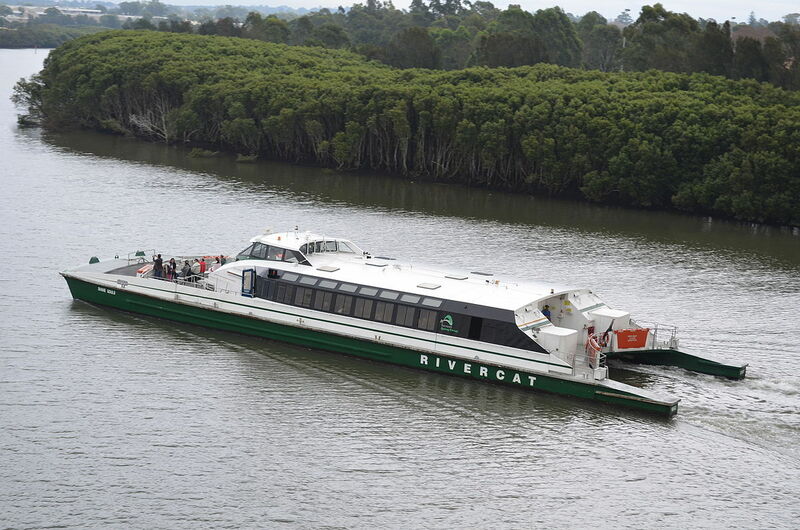 The River Cat sees very few tourists, perhaps because the Parramatta district, where you catch the boat, is away from most tourist itineraries. You’ll find mostly Sydneysiders and commuters on the River Cat – some say they prefer it to the train because it’s quicker, but the truth is that it’s just spectacular. 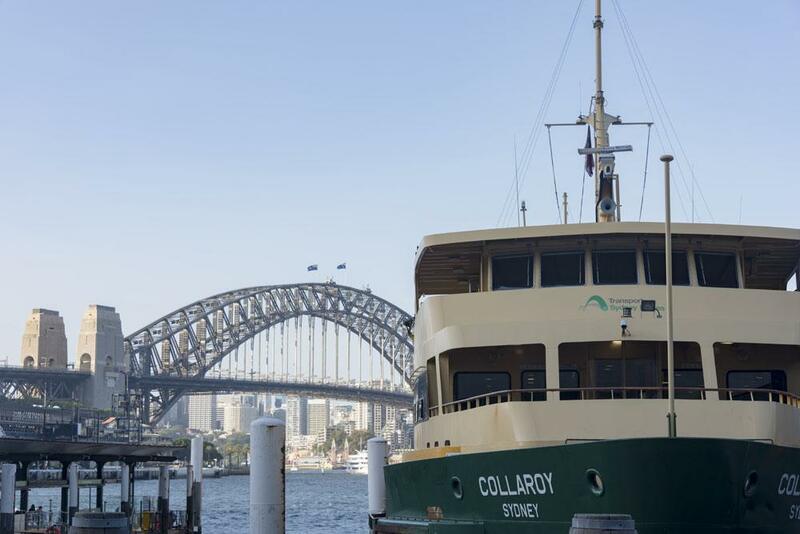 There are two routes to choose from – the inner one alights at Cockatoo Island, another amazing place to visit in Sydney where you’ll find a popular campsite with a view on the harbour. The second route takes you through the Sydney Olympic Park. Travelling on the River Cat, sitting in the sunshine, you’ll see the beauty of Sydney unfold before your eyes until the coathanger frame of the Harbour Bridge and the steel and glass silhouettes of the CBD high rises appear before you. Truly an amazing trip. One of the reasons why Sydney is so amazing is because of its multicultural population – all throughout the 20th century it has been the destination of immigrants from half way through the world, and each group brought their own cuisine. That is why Sydney is now one of Australia’s top foodie hotspots, a place where you can have pizza as tasty as in Sorrento, pad thai that rivals Bangkok street food and delicacies from as far afield as Iran and Argentina. Sydney’s Chinatown is no exception. Sure, the location is not 100% tourist free, being located in the vicinity of the CBD, but there are several excellent Chinese restaurants where you can close your eyes for a second and pretend you’re in Beijing. Two of my fave places to eat are East Ocean, a yum cha place where waiters push around trolleys of steamed delicacies just like in Hong Kong, and Chinatown Noodle Restaurant where you can enjoy a gigantic plate of dumplings and hand-pulled noodles for about $15. 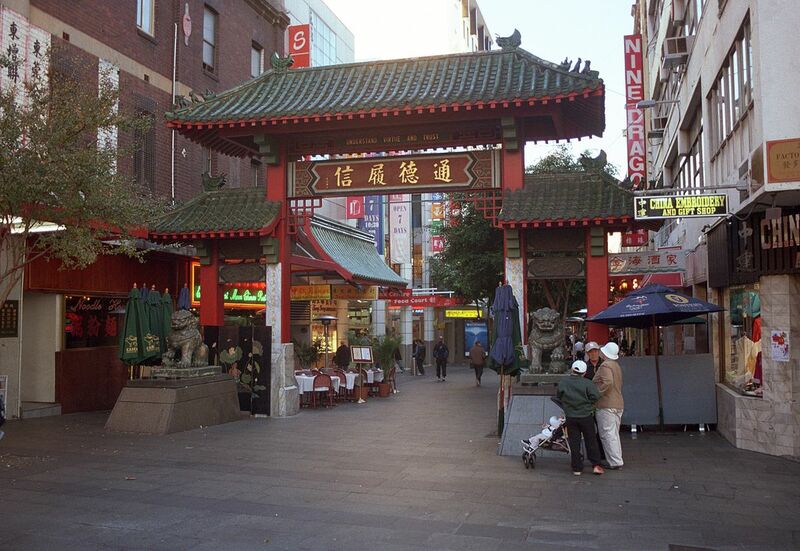 After lunch, it’s nice to walk down Dixon street, the main drag of Sydney’s Chinatown. 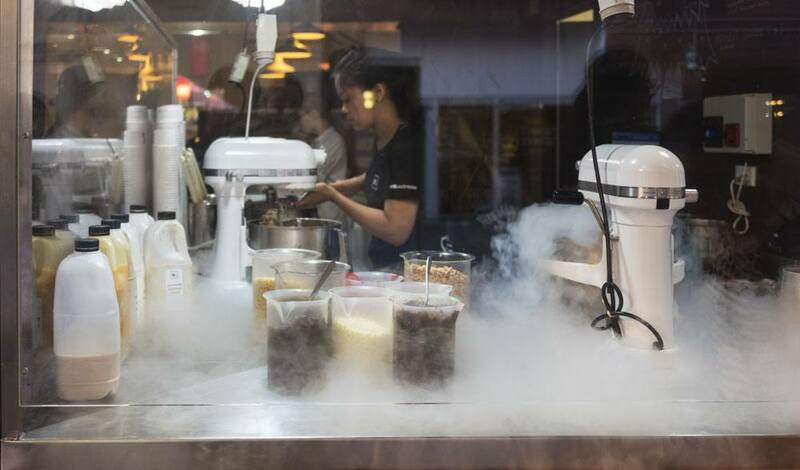 If you’re still a little peckish you can have nitrogen gelato at N2 – it will come with a syringe full of sauce. Yummy! 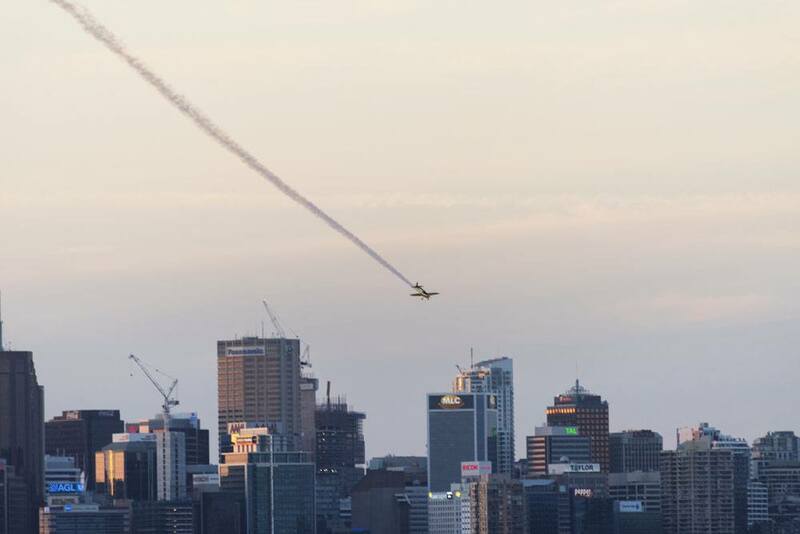 A Panoramic Flight over Sydney – or an Aerobatics Experience! Sydney is amazing from ground level, but from the air it’s just breathtaking. During our visit last year we were lucky to be invited on a panoramic flight with my cousin Andre, an aerobatic pilot. 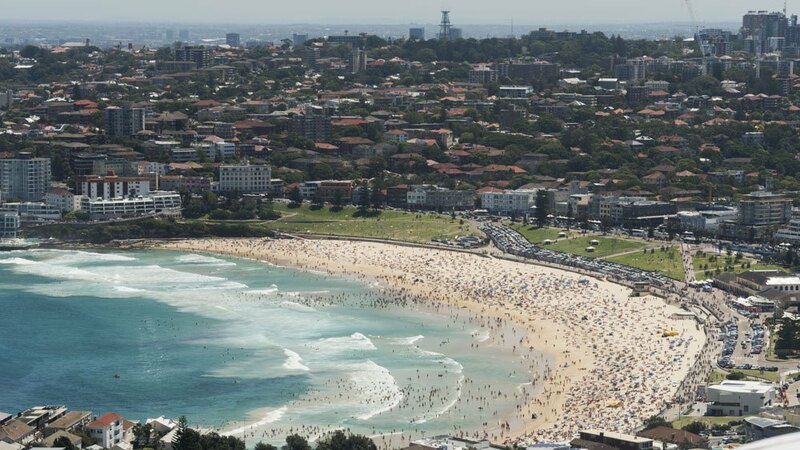 It was a beautiful sunny day and we flew over Bondi and then all down the south coast to Wollongong. Sadly, we couldn’t get permission to fly over the harbour, but it was a wonderful experience nevertheless. After the panoramic flight, Margherita got off and Andre took me on an acrobatic flight. 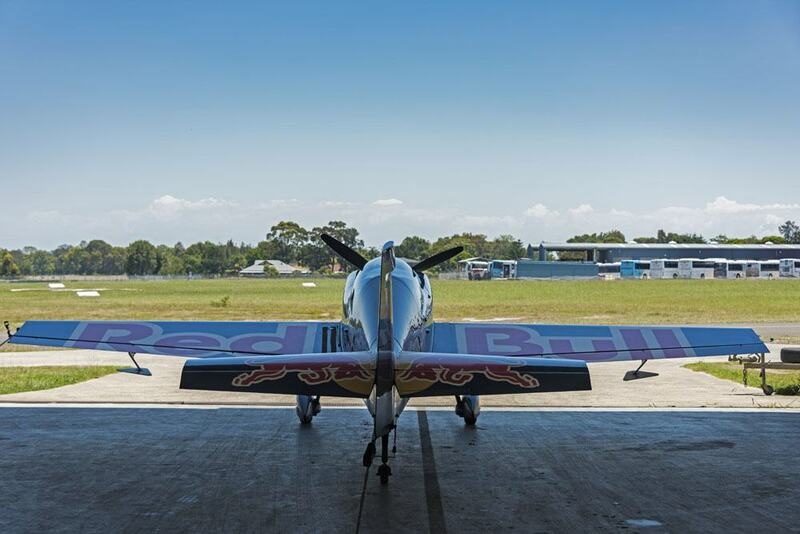 It was one of the most thrilling experiences of my life – an adrenaline-filled sequence of barrel rolls, loops, Cuban eights and lots more aerobatic tricks. Aerobatic flights are only recommended if you have a strong stomach, but if you do, you’ll love it! 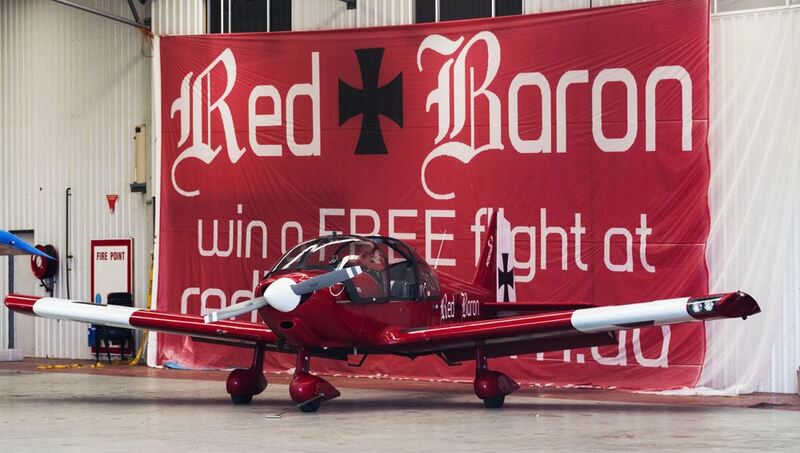 If you want to organise a panoramic flight over Sydney or an Aerobatics experience, get in touch with Red Baron Adventures, based at Bankstown Airport. I guess I’ve mentioned the Harbour Bridge so many times, I may as well mention the coolest thing to do on this Sydney landmark! 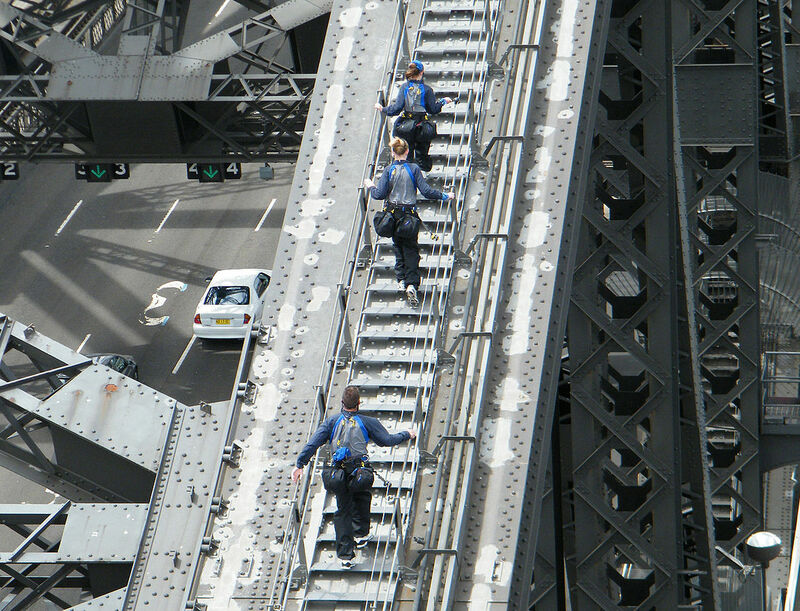 If you’re lucky to be staying in one of the Sydney hotels with a view over the Harbour Bridge, take a close look – you’ll notice people climbing to its top. Yes, it really is possible! Margherita and I did the Bridge Climb a few years ago and loved it. The whole experience takes about 3.5 hours, if you decide to climb the outer arch, something we very highly recommend! 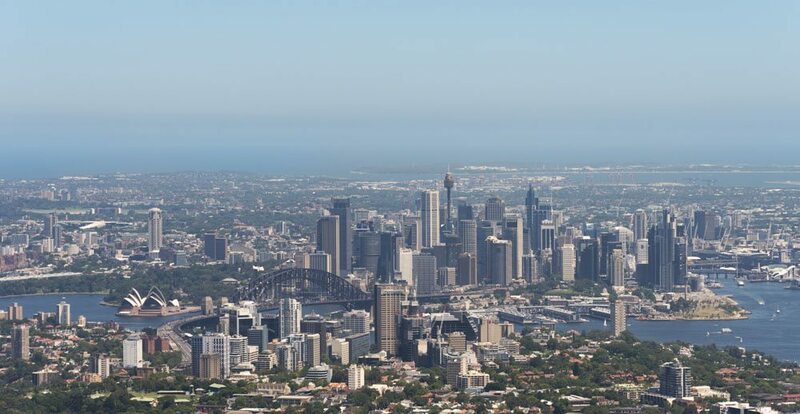 The view from the 134 meter-high summit of the Harbour Bridge is truly spectacular, and there is no need to be afraid, as you are securely strapped to a railing the whole time. Can you spot the little people up the top? Naturally, Sydney isn’t immune from the hipster revolution that took over the world over the last decade – and Sydney’s hipster hangout par excellence is Newtown, a formerly derelict neighbourhood now chockablock with tattoo parlours, barber shops and indie cafes. 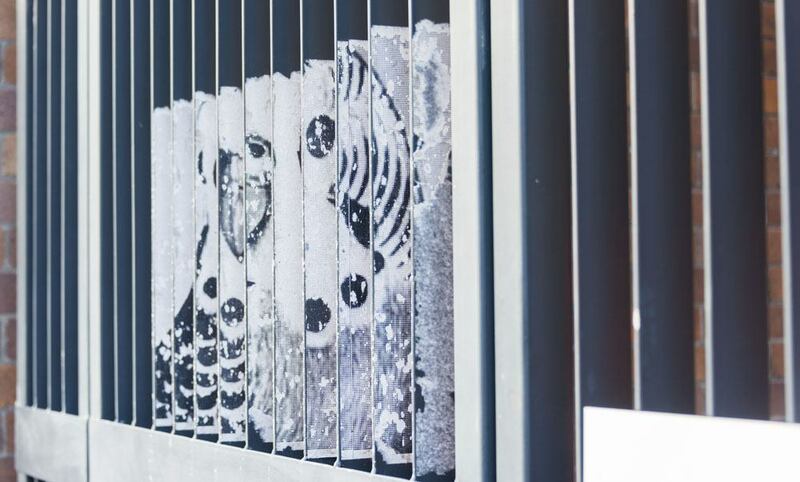 Budgie street art… very Aussie! Just like Kreuzberg in Berlin, Gracia in Barcelona and the VII district in Budapest, Newtown is full of two things we really love – burger shops and street art! 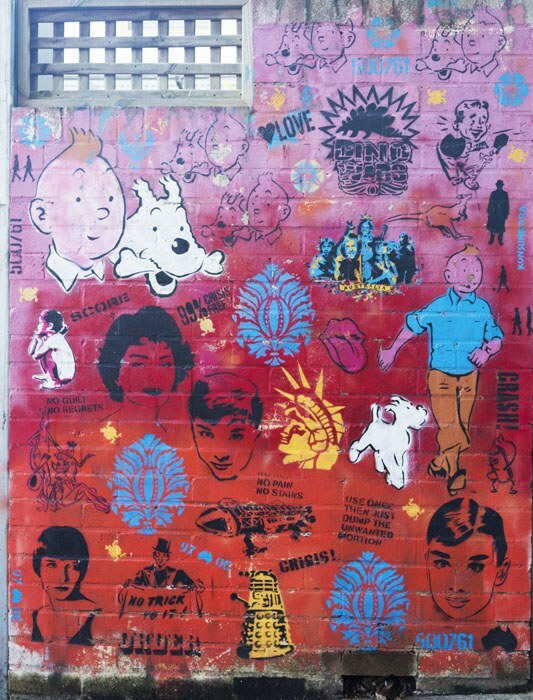 It’s a nice place to go for lunch and to look for some cool street art pieces – we visited one afternoon to try the New York style burgers from Jack’s, and spent the rest of the afternoon wandering around looking for street art – here are a few of the pieces we found! 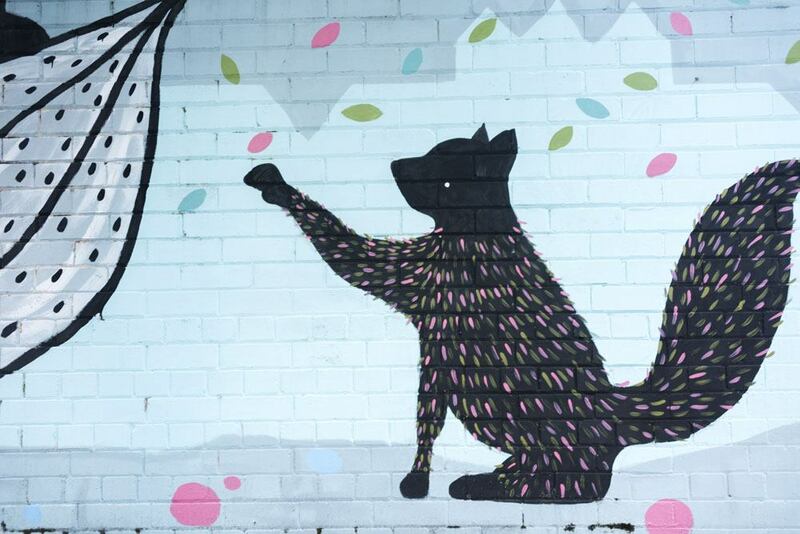 Cat street art – or is it a squirrel? Well, the Blue Mountains aren’t *technically* in Sydney, but they are probably the easiest day trip from Sydney, so I decided to include them anyway. 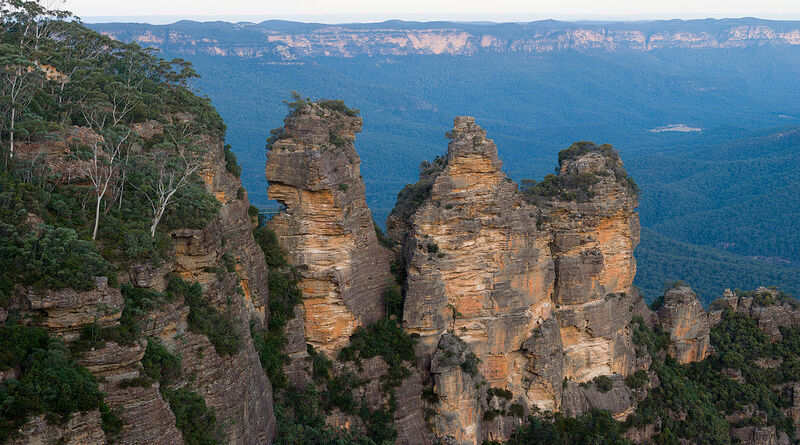 The easiest place to start your Blue Mountain exploration is Katoomba, which can be reached from Sydney by train. From there, you can take a bus up to Echo Point, where you’ll be able to see the Three Sisters, a rock formation named after an Aboriginal legend. 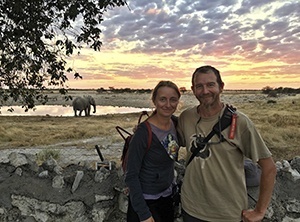 You can also opt to follow the Three Sisters walk, an easy 1 km hike for everyone, taking you closer to the Three Sisters with stunning views along the way. Another reason to visit the Blue Mountains is the Zig Zag railway, a heritage railway built in 1869 as a means to travel up the western side of the mountains. Until recently, the Zig Zag railway operated scenic trips, travelling through a series of tunnels and viaducts, and climbing up switchbacks – that’s where the ‘zig zag’ name comes from. It’s a really cool initiative, run by volunteers, recommended for train lovers (like Marghe) who want to enjoy a day out in nature. 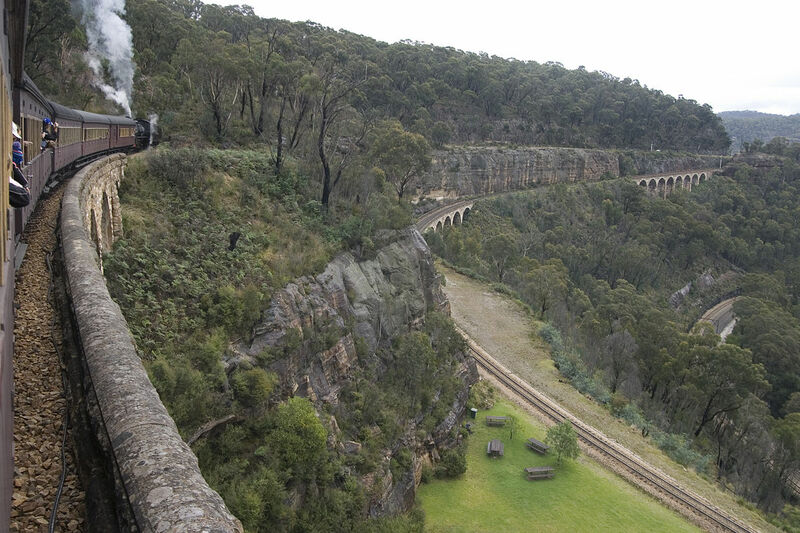 Sadly, the Zig Zag railway was badly damaged by a bushfire in 2013 and is currently closed. I decided to mention it because it’s going to open again in early 2017 – if you are keen to visit, just head over to their Facebook page to make sure it’s actually running. 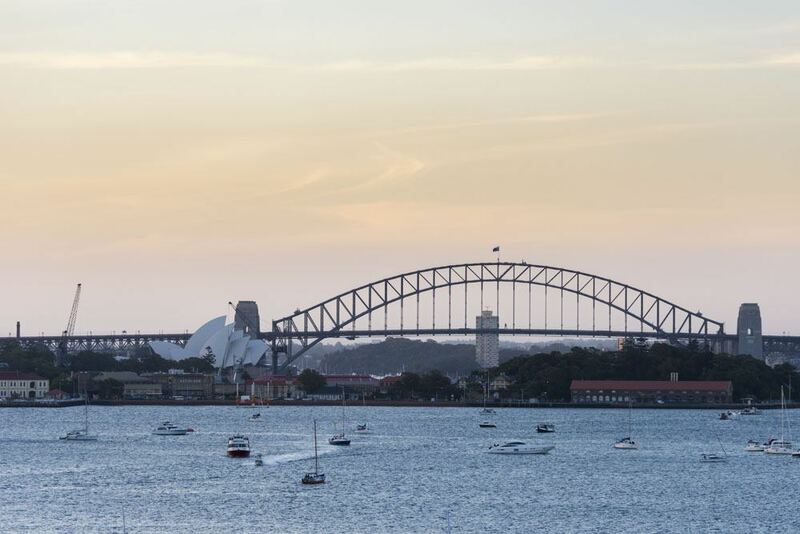 Are you a Sydneysider and have more insider tips for what to do in Sydney? 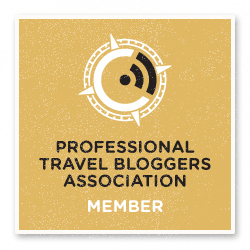 Please leave us a comment – I’ll update this article with the tips we receive from readers! I have never wondered about hat to do in Sidney since I have never imagined myself there. However, your post has narrowed down things for me, If I ever find myself there. Great suggestions. I will get down to Sydney one of these years!